Fascinating, intriguing, and dramatic – those are just some of the many words to describe the extraordinary film, Flatliners, which everyone has been talking about. The phenomenal movie just recently had its premiere at the Ace Theatre in Los Angeles, California on September 27, 2017. Many incredible celebrities came out to the premiere and were left in awe by the magnificent film. 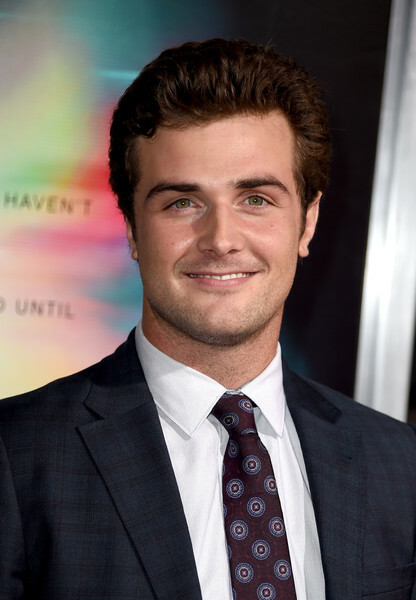 The immensely talented actor, Beau Mirchoff had a wonderful time as he attended the premiere of his movie, which he stars in and plays the role of Brad Mauser. Beau Mirchoff looked so fantastic as he was dressed to the nines in an excellent suit at the event. He also snapped a great picture on the red carpet with the lovely Nina Dobrev, who also stars in the movie. It looks like Beau Mirchoff had a spectacular time at the premiere of his terrific movie. Check out some more pictures below of the sensational Beau Mirchoff at the premiere of Flatliners! Be sure to watch Flatliners out in theaters now! Previous Article: Syd Wilder Looked So Stunning At The 2017 Streamy Awards!